To register, please email board@oilcitycrew.ca with your Crew Name, Crew Manager Name, Contact Information, and Roster List. Payment instructions will be emailed to you. If any one (or more) athlete enters the boat or is added to the crew list that does not hold a current DBC card/is not registered with DBC and paid the entire boat (Crew) is ineligible to use the event as a qualifier. If any Crews have questions about qualification or the CCWC protocol please ask them to contact Chloe at director@dragonboat.ca or 647-210-5175. Date: Sunday, June 18th, 2017. Time: Races start at 10 am until all crews have raced at least once. Format: 2 boat head-to-head heats – 500 metres. 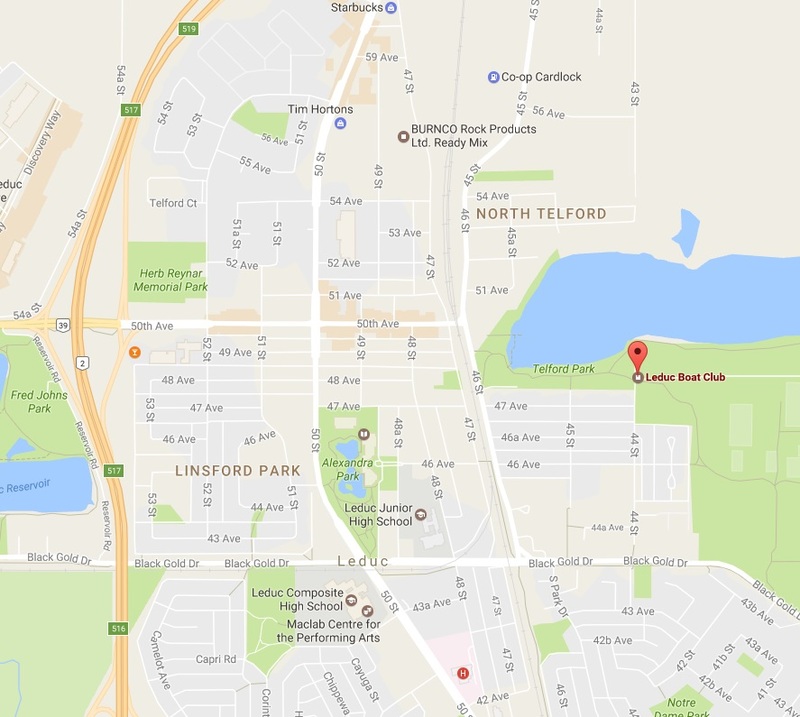 Location: Leduc Boat Club at Telford Lake, Leduc (4801 44 St, Leduc).